Fresh Homemade Lemon Ice Cream is a treat in our house! 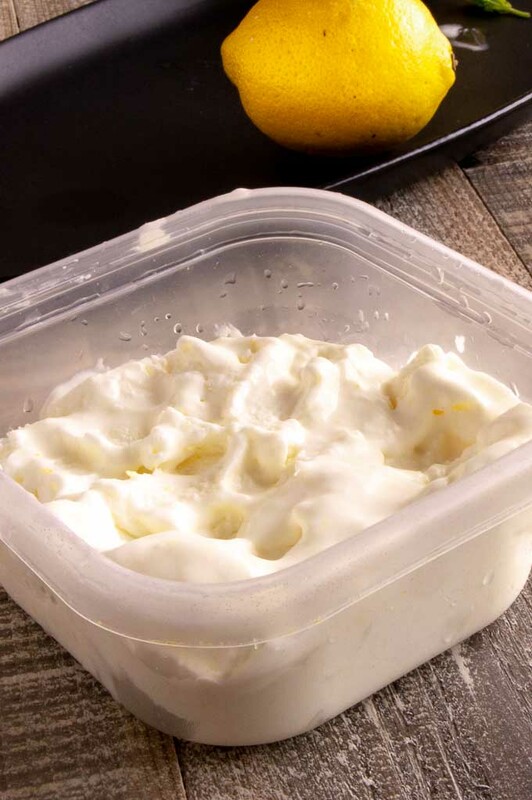 Im sharing a recipe today that is made in the refrigerator freezer without an ice cream maker and comes together in no time at all. Cream, whole milk, sugar and lemon are the entire ingredient list. How wholesome is that? 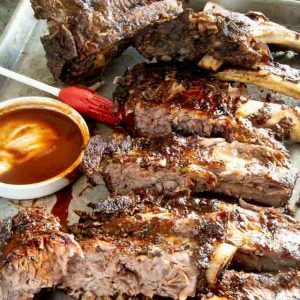 This recipe is from another food writer friend of mine at The Devilish Dish. I was given her website for the summer version of Freaky Friday! Freaky Friday is a series that I’m a part of four times a year. 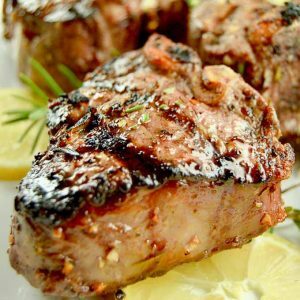 We all exchange names of other websites and share some of our favorite recipes from their sites to introduce you to someone else you might have never come upon. She has Nebraska’s favorite football game day food the Famous Runza Recipe on her site. If you’ve never had one, trust me on this, 90,000 people in the stadium all having at least one on game day can’t be wrong. She also has fun party ideas like a Bacon party and a Groom’s gals Spa Party that both have such cute ideas and fun things to incorporate! I think you’ll enjoy so many of her recipes because you can tell she likes to entertain and eat fun, delicious foods! But ultimately I’m sharing this Lemon Creme Ice Cream recipe. I especially love how she presents them in cute little lemon shells for a fun presentation! SORBET- made with fruit juice, sugar and water. Icier than Ice cream and not creamy at all without any dairy in it. SHERBET- Sorbet with a small amount of cream for a creamier texture. Mix milk, cream and sugar in a bowl. 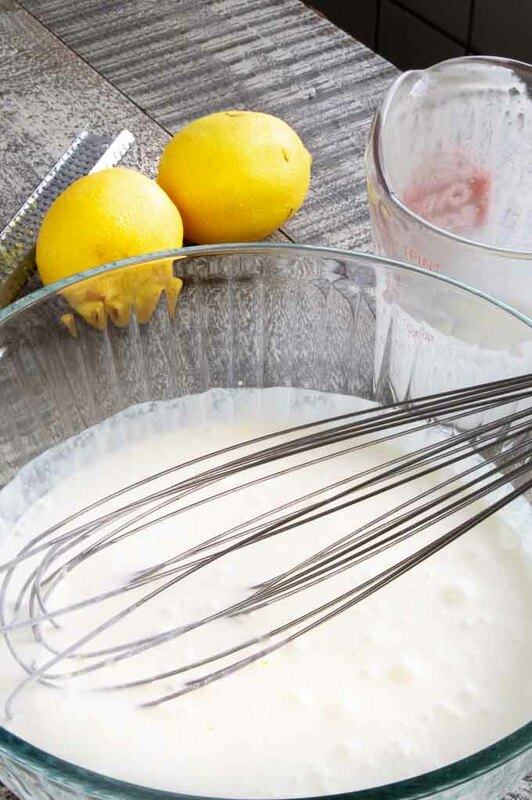 This lemon ice cream recipe is very rich from the equal parts cream and whole milk. When you take a bite you’ll taste enjoy the rich velvety texture that make you savor every bite. Using fresh lemon juice and the zest you get a burst of tart refreshing flavor that is perfect for the end of the meal! 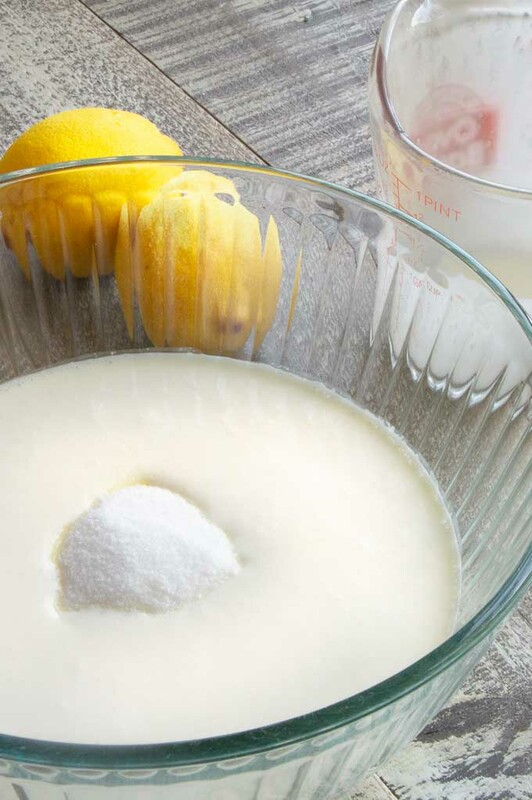 To make this fresh lemon ice cream in an ice cream maker just pour fully mixed mixture into your ice cream maker and let it run until frozen. In my small kitchen aid ice cream maker it took about 40 minutes to come to an semi-soft, cream texture that I could scoop. PRO ENTERTAINING TIPS: When zesting the lemon use a microplane. This will allow you to just barely remove the yellow skin and leave the bitter white rind. 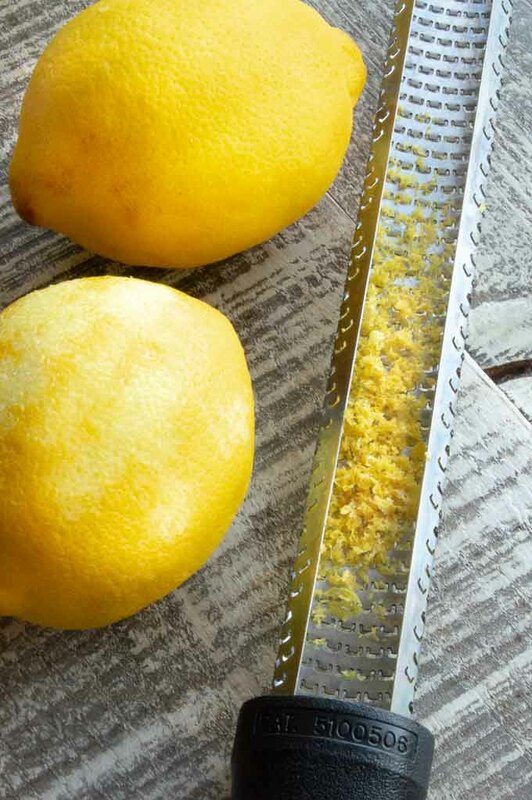 When entertaining you can cut a lemon in half and scoop out the lemon pulp by first using a paring knife to cut between the pulp and the rind. Then use a teaspoon to scrape out all remaining pulp. ****When shopping for lemons at the market you want the more firm ones. The skin gets oily and soft when they have been on the shelf for a while and it will be difficult to get a light zest without taking more of the rind than when you use a drier more fresh lemon shell. Pin this to your Desserts on Pinterest! Lets Be Friends …. follow me on Pinterest for more ideas for stress free entertaining with confidence! Creamy Lemon ice cream is made simply in your freezer with fresh homemade wholesome ingredients. 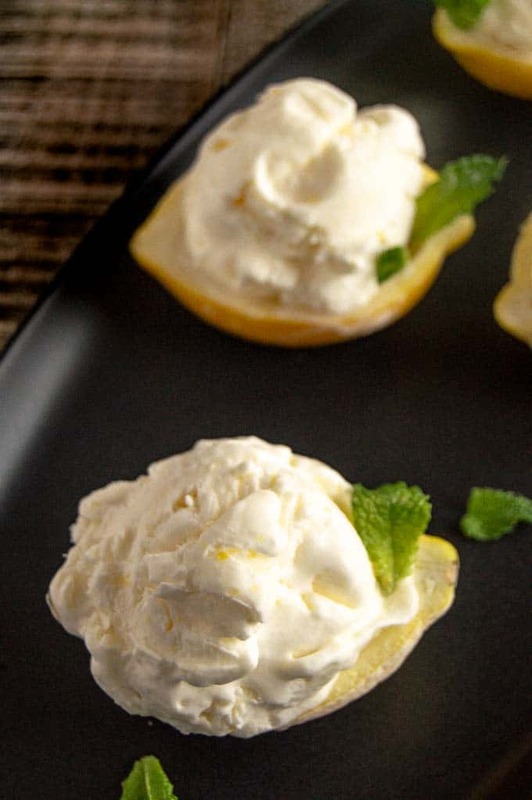 Serve them simply scooped or in lemon boats for impressive easy entertaining! Combine milk, cream and sugar in a bowl. Whisk well until sugar dissolves. Stir in lemon zest and lemon juice. Mix well. Pour into a bowl, cover and freeze approximately 2 hours, until mixture is just starting to set up, and very thick and chilled. 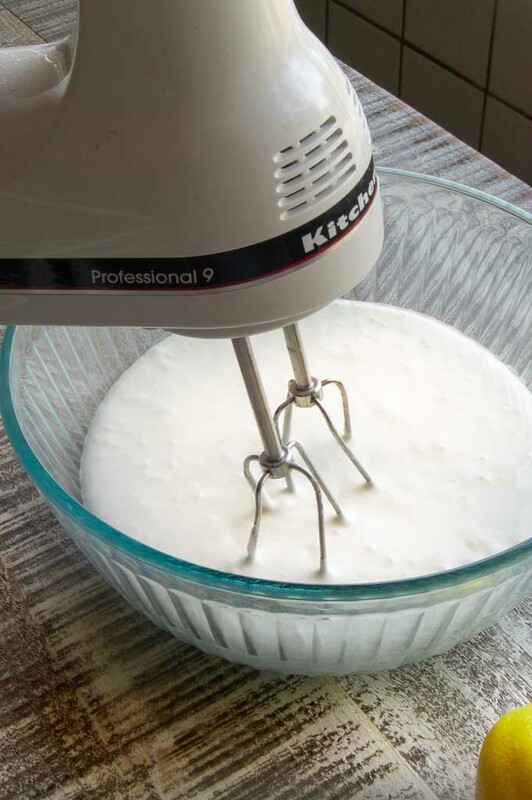 Remove from freezer and beat with an electric mixer until mixture has about doubled in volume. Place mixture in a bowl, cover and return to freezer. Freeze until solid. 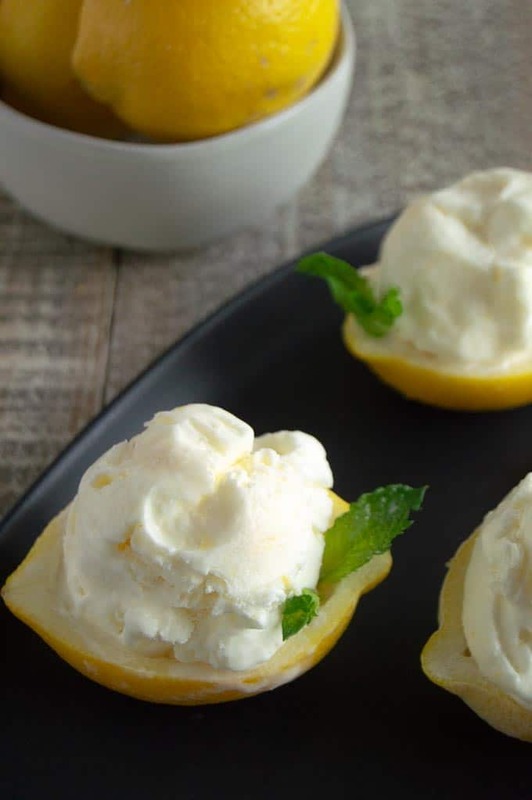 When ready to serve, place a scoop of frozen lemon crème into a lemon half that has been hollowed out. You will want to purchase an additional lemon that you will not use for serving for making the zest. 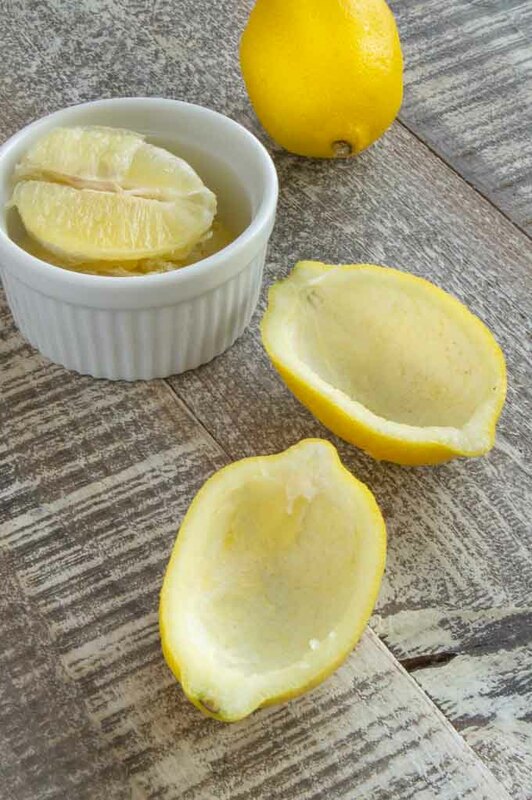 How to hollow out lemon halves: Use a paring knife, cut lemons in half. Then use the same knife to cut along the edge of where the pulp meets the skin. Then use a teaspoon hollow out centers and clearing all pulp from the skin. Super cute presentation!!! Yes to everything lemon!!!! 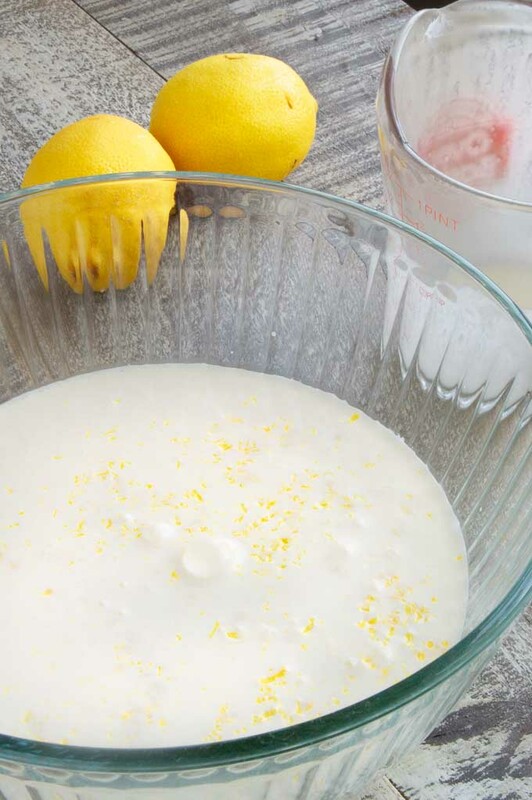 Lemon ice cream is one of my favorites but it’s so hard to find, so I’m making this asap! I just love the sound of this ice cream and I’m loving this Freaky Friday idea! That’s so fun and something I would have fun with! And I would never have thought to present this in little lemon bowls! Cutest ever! I love this recipe! I am melting in Arizona and can really use some cooling down! You had me at lemon. This are absolutely adorable! I love lemon everything, but I’ve never made lemon ice cream. This is so easy that I must try ASAP. 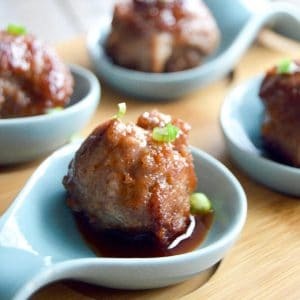 These would be perfect to serve at a summer dinner party. They are so cute! 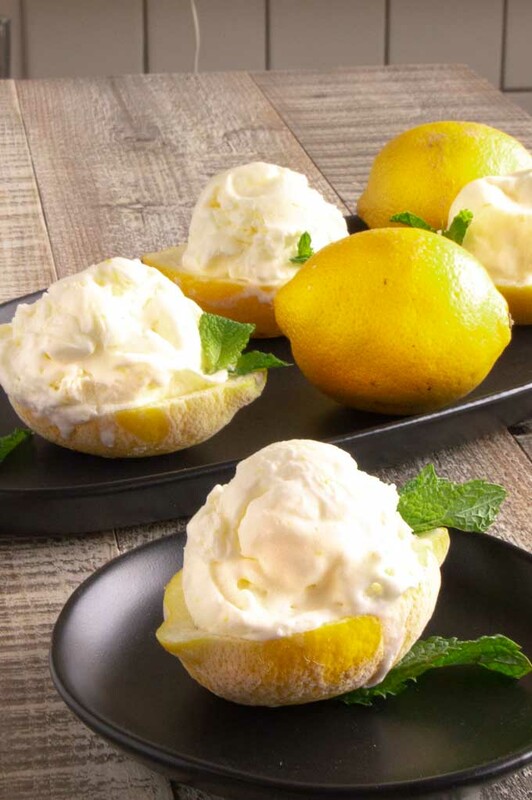 We love our lemons and having it in the form of a dessert is a double treat!! And I’m grateful for recipes that show how to make ice cream without having additional equipment. I’m anxious to try your method and I think it is so cute how you served the dessert. I never thought to serve lemon ice cream in a lemon! I l totally love that idea! I bet this tastes amazing too. It would be such a fun ending to a dinner party. What adorable little lemon boats! Thanks for such an informative post and the step by step photos so I can see exactly what I need to do. And I can just about taste that lemon ice cream. I love citrus ice creams when it’s really hot – they’re so refreshing. 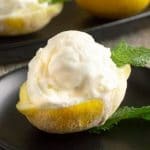 I’m on a huge lemon kick lately and it is summer…so I will definitely be giving this Creamy Lemon Ice Cream a try ASAP! YUM! WOW!!! I love all things lemon and lemon ice cream, Mmmm I have to make this!!! I bet this is so refreshing for summer!! Like creamy lemonade. I love lemon ANYTHING — but ICE CREAM?? Be still my heart!! I love how you use the lemon peel as a cup for the ice cream! This is genius! What a fun way to avoid being wasteful 🙂 I can’t wait to try this! I haven’t made my own ice cream in a while and am in need of a delicious creamy ice cream. I love this recipe for so many reasons!! I love that I don’t need to find my ice cream machine, I love that it has lemon in it and that its so easy to make!!! Thanks for breaking down some of the frozen treats- I’ve often wondered the difference! Your ice cream looks so soft and delicious with a wonderful creamy texture! Lemon is our favorite flavor and I know my family will love it, I’m going to make us some right now. On the plus side I like that it’s no churn, there’s never enough room in my freezer for the compressor! First, I love the idea of Freaky Friday and getting to know other people who share your passion for food. Since it’s July, with a feels like temperature of 105° outside, this ice cream sounds refreshing and beyond luscious. I actually do have an ice cream maker (the kind where you freeze the cylinder) and it’s always in the bottom of my freezer waiting for inspiration. FOUND! I am such a LEMON fanatic. I made some lemon ice cream at Easter. My grandson LOVED IT. What a nice refreshing treat for these HOT summer days. Homemade ice cream is the best….and you can’t get these flavours in the store. Sounds totally amazing. 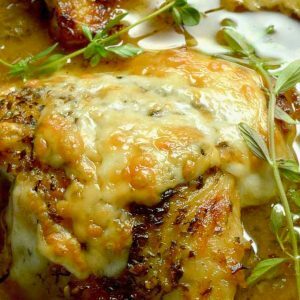 I always enjoy reading your recipes because use have the BEST information, recipes and photography – love it! This recipes looks soooo delicious, we’re going thru a heat spell here in the valley and I’m thinking this is the perfect weekend to make this bright yummy ice cream! Thanks for the sweet words. I love that you chose this recipe! OMG, I LOVE your lemon bowls! I only wish I had been there to help taste test this incredible looking ice cream; I’m sure it was sublime!!! Easy homemade ice cream, what’s not to love about this recipe!